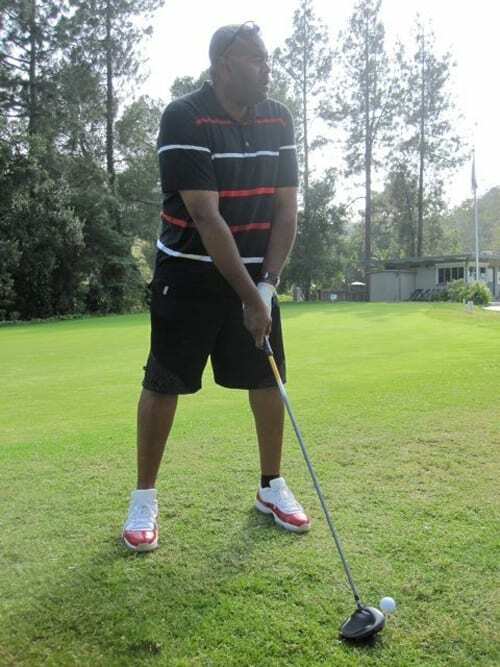 Complex says: Veteran actor Chi McBride may be 50 now, but his shoe game is still so strong. The Chicago native (hence the "Chi"), has got Jordans like MJ, Yeezys like 'Ye, and is friends with Nike's creative whiz Mark Smith. When you are getting some of the hardest Js to find without even making a call, getting pairs of XI lows months early, and even getting your own custom Jordan golf cleats — it's over. Honestly, it's hard to tell where you have the best shot at seeing the newest Nikes — on the Beaverton campus, or on Chi's feet.